Anyway right now I want to know if there is a simple fix to make Munchers not deliver pain. There are however a few things i actually do want but if it is too tricky just painless munchers. -Silver switch turns into coins. -Does not hurt the player. -An alternate block so I can still use regular munchers as a hazard. Basically a brown used block, but reacts with the silver P switch instead of blue. 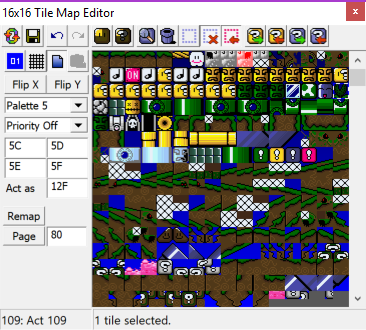 (i will also change the pallet so the player knows. IF the only option is to inset a patch that makes the munchers not hurt, so be it. I can deal with no munchers in game. (though would rather that not be the case. 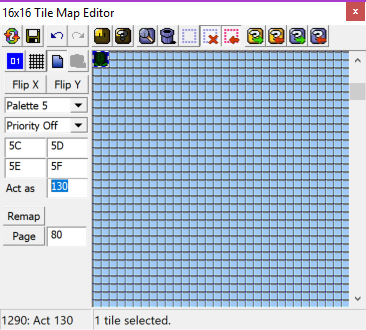 If you go to the 16x16 Tile Map Editor you can copy and paste the muncher block to some of the unused tiles (that you'll see if you scroll down). Then just make the block act like 130, a cement block. Harmless. At that point it shall retain the GFX of a muncher while acting like a concrete block. 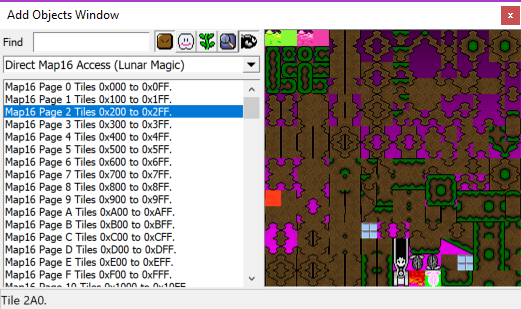 Then you can go to the Add Objects window and find the new 16x16 block you created from Direct Map16 Access (Lunar Magic) on the dropdown Window. @Conal: Reading the post helps: They actually want a brown block which turns into a coin if the silver P-switch is activated, not a solid block with just a muncher GFX. A muncher from SMW is this except that it hurts. Of course, you can also create a block which does this but a patch is much easier, given that you need to recreate the coin. That being said, tt seems like the blocks from the switch pack do the job as fine too unless the path has to stay open. MFG, the patch you gave, does that make it so the muncher does not do damage? That... why I have posted the patch in the first place. You were mentioning something about a custom block so I was a little confused. EDIT: i tried the patch it did not work. EDIT EDIT: okay Patch DID work (i just patched it wrong), but now a new issue arises. When in Muncher form it turns into a coin but since i want it to look like a used block (To signify that purple used blocks need a silver pow switch) it does not turn into a coin (It acts like a coin but does not change form. How do I fix this?